Just Listed :: Adorable Traditional in Meadow Trace Swim/Tennis! Welcome home! 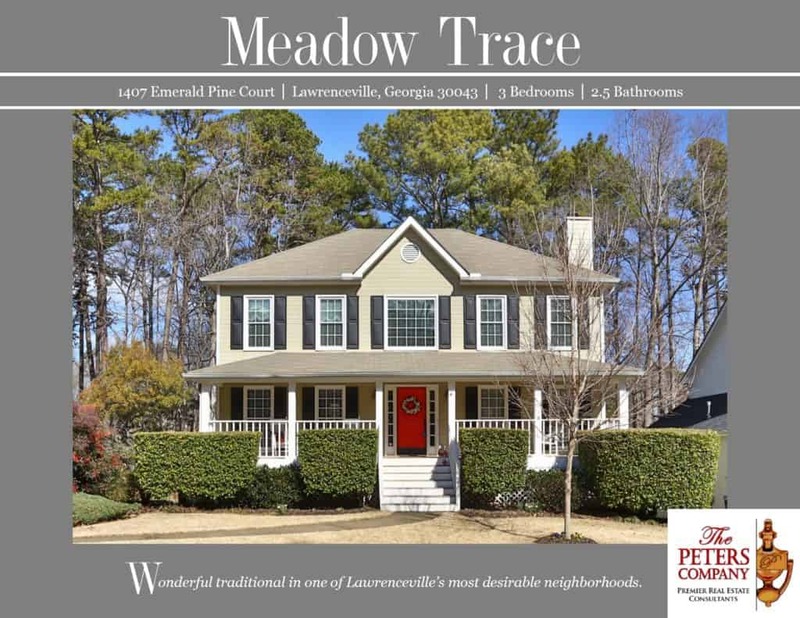 Nestled in the popular Meadow Trace swim/tennis neighborhood, this is just the home you’ve been looking for! The flowing floor plan, custom features, and charming character will never go out of style. The close proximity to I-85, GA-316, and Sugarloaf Parkway makes this home convenient to and from any direction. You’ll also be close to Discover Mills, The Gwinnett Arena, and many other well-loved restaurants and shopping spots! Loaded with craftsman touches, custom features, and a great flowing plan. Kitchen features two toned cabinets, double ovens, and spacious breakfast area with bay window. Large living room has a cozy gas starter fireplace and French doors leading out to the back deck. Main floor powder room is ideal for guests. Master suite is a true retreat including a trey ceiling and walk-in closet. Master bathroom has a vaulted ceiling, double vanity, charming claw foot tub, and separate shower. Two additional bedrooms are well-sized and bright. Finished basement space would be great for a home office, playroom, or media room. Garage easily fits two vehicles and has wonderful workshop with built-in bench. The fully fenced backyard features a fire pit, swing set, and raised flower beds. Wonderful curb appeal including a rocking chair front porch with swing.